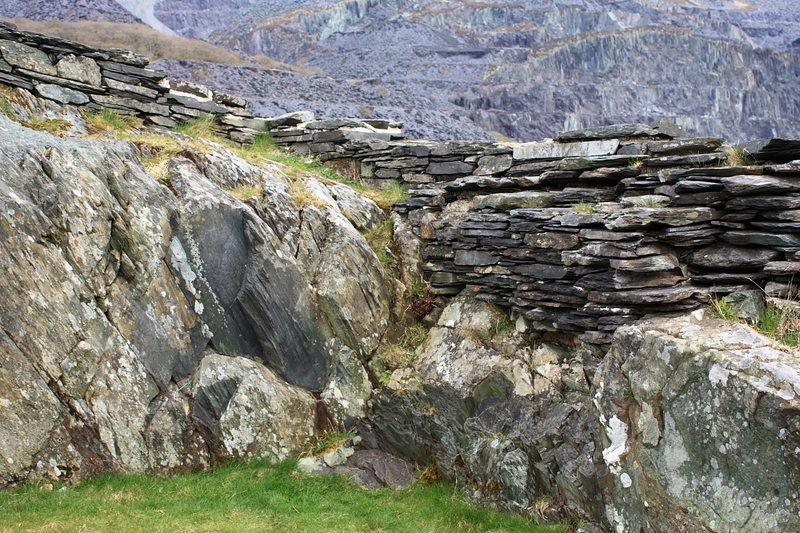 Nowadays, the Llanberis Pass in the wondrous Snowdonia National Park teems with tourists. Some seek Welsh mysteries, others hike the craggy peaks, and still others marvel at the scenery from the comfort of a car. The twin lakes of Llyn Padarn and Llyn Peris slash through the mountain range creating the Llanberis Pass, an area noted for its rugged beauty, scarred by slate mining, a crossroads through North Wales. Scores of visitors meet in Llanberis, hoping for a ride on the narrow gauge railway or to tour the impressive power plant and the adjoining lakes. Others speed through the village as quickly as possible swerving to avoid wandering pedestrians, anxious to reach another destination. 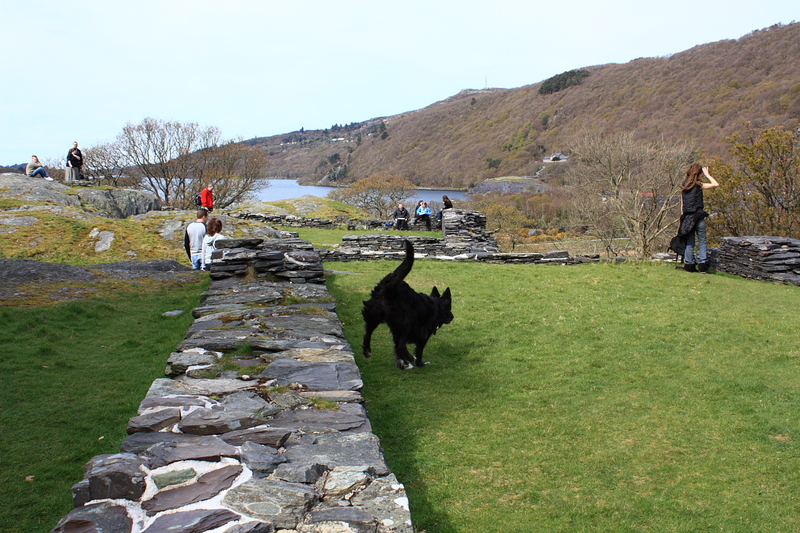 Indeed, their passage may be so brief that they fail to notice one of North Wales' finest treasures: Dolbadarn Castle. 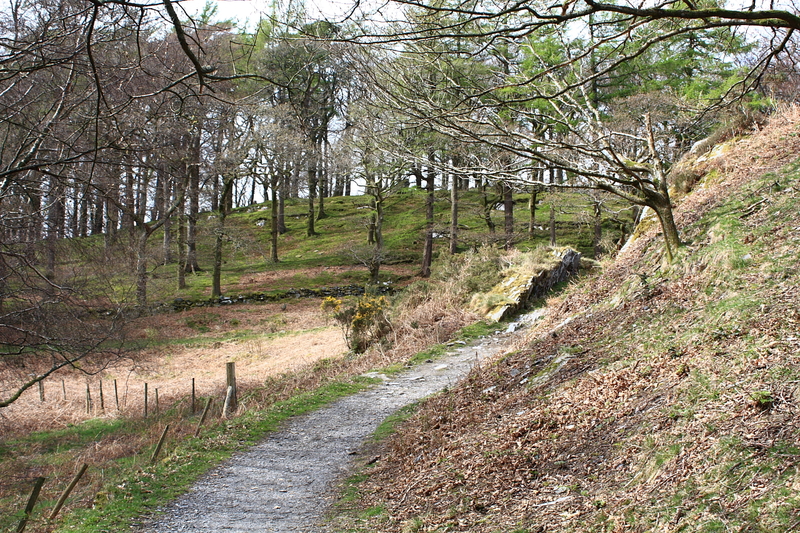 Below: the approach from the castle through the woods from the car park. Dolbadarn Castle stands rather forlornly on its rocky hillock some 80 feet above Llyn Padarn, on the eastern side of the main A4086 roadway between Caernarfon and Snowdonia. Undoubtedly many tourists know about the masterful castle in Caernarfon, and may be so intent on reaching that fortress that they overlook the smaller stronghold at Dolbadarn. Yet, it is a marvelous relic, hallmarked by a proud tower built by the Welsh princes of Gwynedd, and, as such, is every bit as significant as the more massive Edwardian castles, now listed as World Heritage Sites. 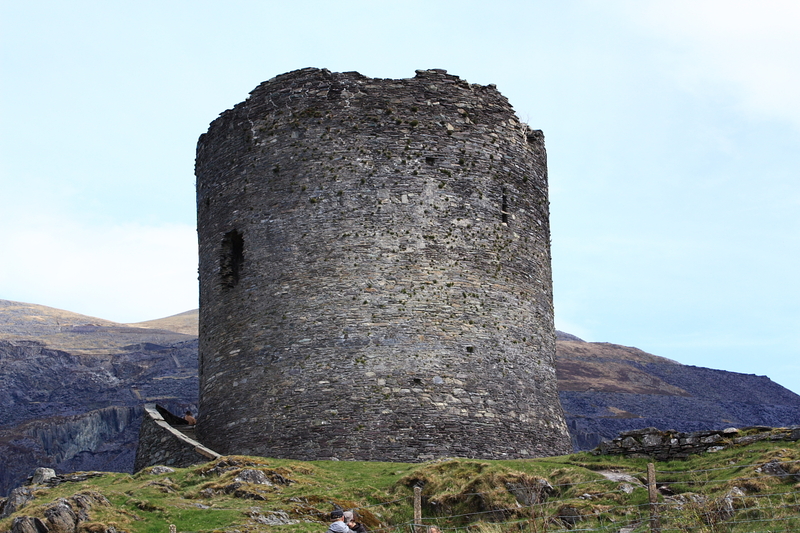 The castle at Llanberis dates to the 13th century, but remains in solid condition, although a shell of its former self. Some visitors are awed by its simplicity and its endurance, and consider Dolbadarn one of the finest of Wales' native-built castles. Built by the mighty Llywelyn ap Iorwerth (Llywelyn the Great) sometime before 1230, the castle not only predates the English fortresses of the Edwardian conquest, it also provides solid documentation of the extent of Llywelyn's influence and ingenuity. Dolbadarn Castle's strategic value is perhaps best recognized by reference to a map. 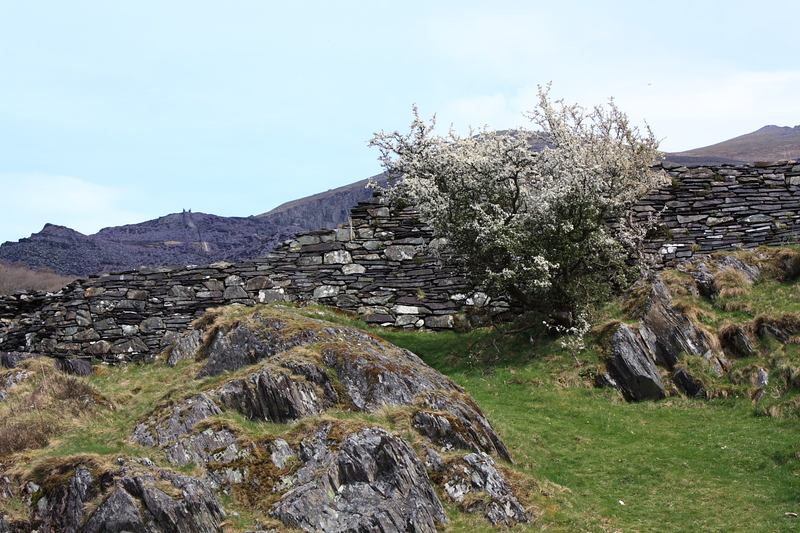 Clearly, its position at the tip of Llyn Padarn allowed the garrison to blockade anyone's movement through that part of the north, then as now a main link to the rest of Wales. The military worth of the spot was evidently recognized as early as the 6th century but surviving masonry dates no earlier than the 1200's. 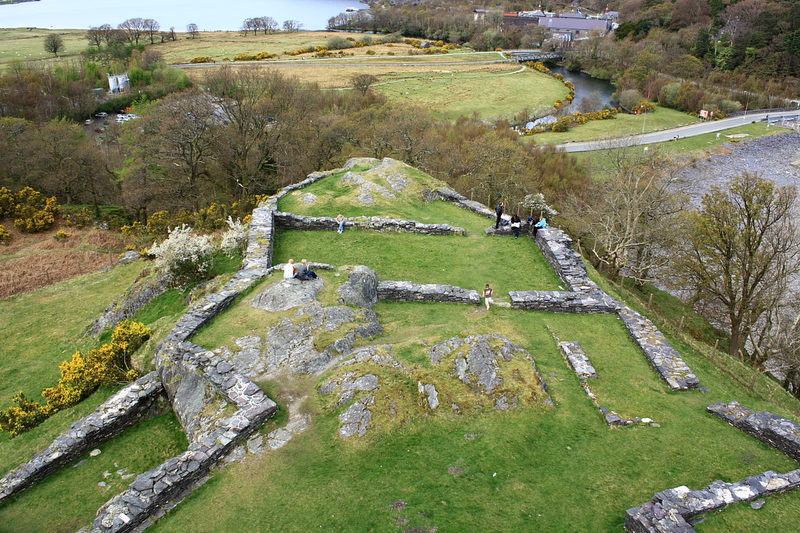 Below: Foundations of several courtyard buildings viewed from the top of Dolbadarn's Great Tower. 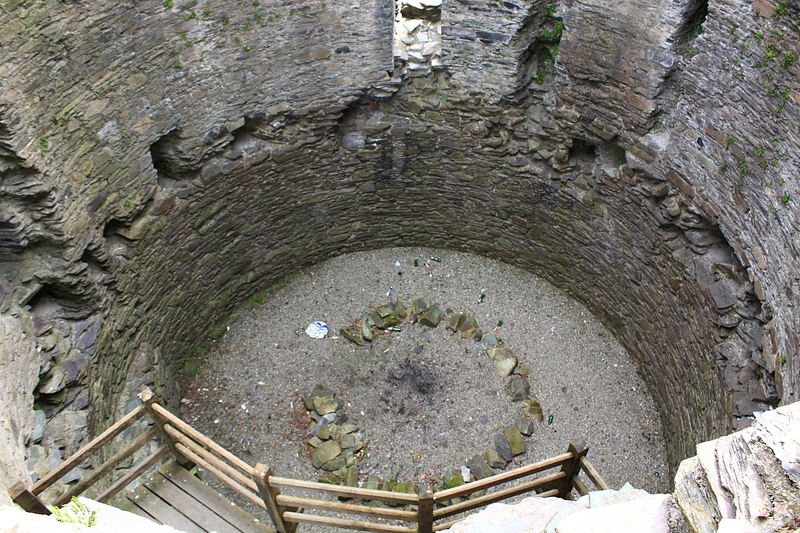 The dominant feature at the site is the impressive round tower, built of slate and rubble. Looks are deceiving, for this great keep encloses a surprisingly complex series of chambers and once rose three stories. Today, the tower reaches 40 feet in the air, is 40 feet in diameter, and is still girded by walls 8 feet thick. 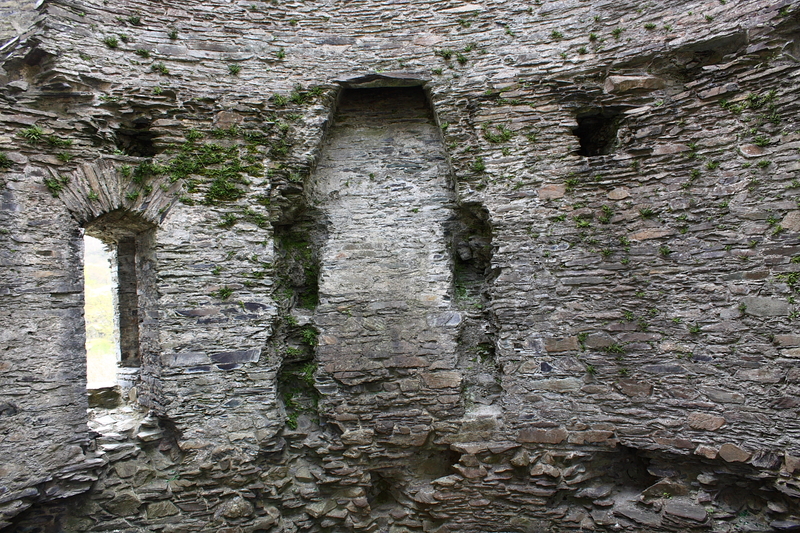 While it is a shell, lacking battlements and a wall-walk, the keep contains several interesting features. 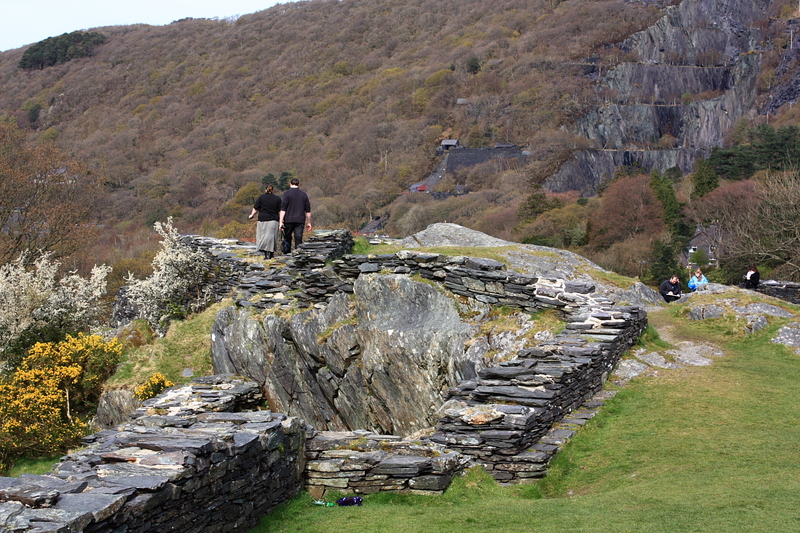 Like many early masonry castles, the main entry to Dolbadarn was at first floor level, possibly through a forebuilding similar to the restored one that now protects the entrance. However, it is more likely that the earliest entry was wooden, a movable ladder which, when retracted, would have made access virtually impossible. Apparently, the only entrance into the lowest level, the basement, was through a tiny trapdoor. The first floor entrance was heavily defended with a portcullis and sturdy drawbars barricaded stout doorways. While all traces of flooring have disappeared, victims of neglect and pilfering over the centuries after the keep fell into ruin, remains of the interior staircase to the upper story may still be climbed. The uppermost story probably supported hoarding, an encircling wooden defensive platform. 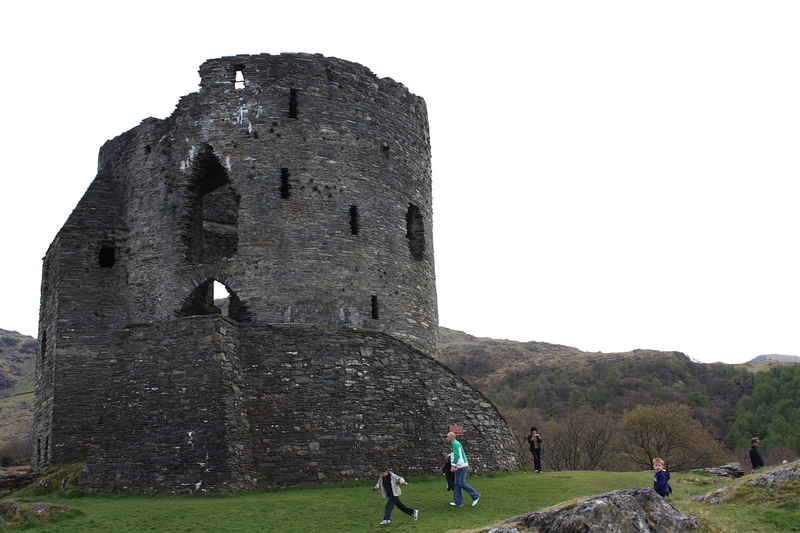 Dolbadarn's keep sat astride the southeastern length of curtain wall, which enclosed the rocky hill and linked the castle's most important, albeit less durable, structures. Today, only the lowest foundations of these outer buildings (which may have been the oldest at the site) have survived, and it is somewhat difficult to determine their actual functions. The ruins create an overall sock-shaped fortification, with rectangular towers united by the curtain wall and a large rectangular hall at the northern end of the site. 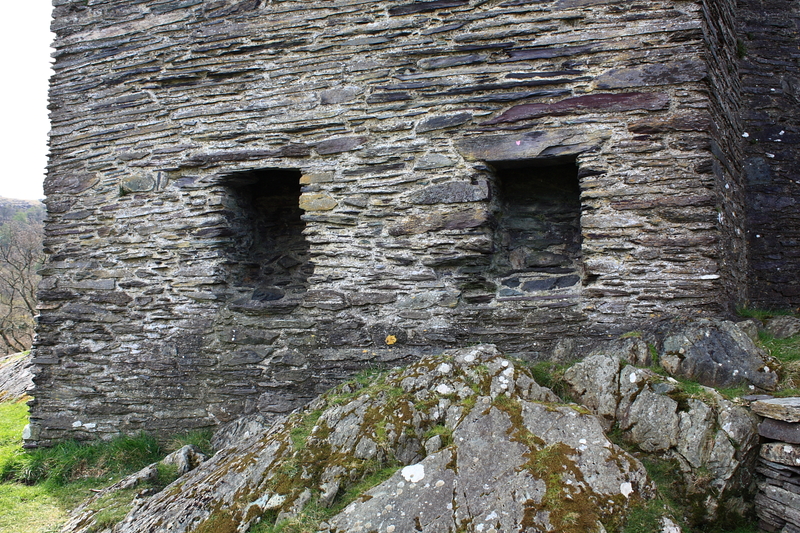 Two open hearths remain within the hall's confines. Below (2): view of the Great Tower's rectangular projection that houses the tower's latrine chutes. 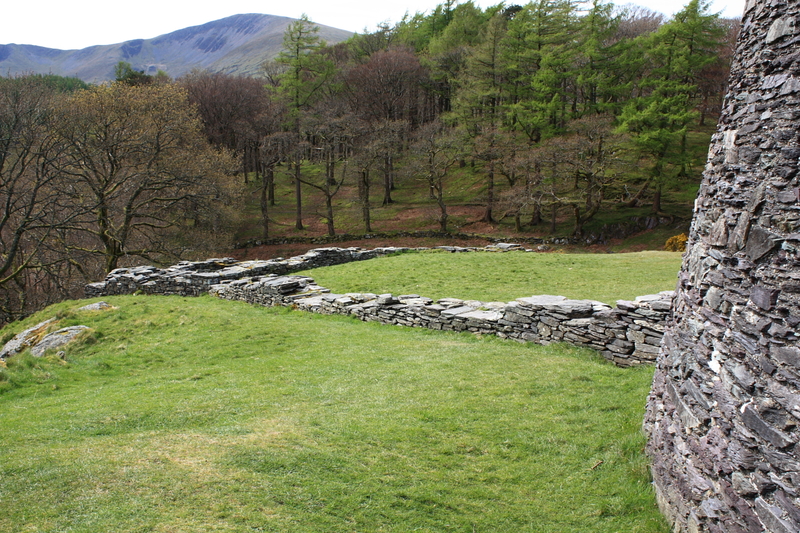 In all, the site plan of Dolbadarn Castle presents a simple but cohesive unit. Its history did not die with Llywelyn the Great in 1240, and the castle was active another 40 odd years. Noteworthy events include the imprisonment of Owain Goch (a.k.a. Owain ap Gruffydd) by his younger brother, Llywelyn (a.k.a. Llywelyn the Last) during their struggles for control of North Wales in the 1250's. 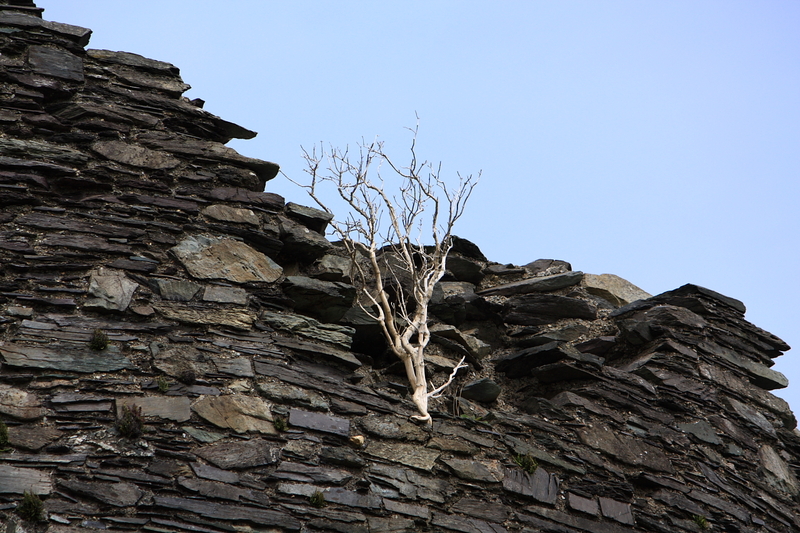 Owain spent 20 years as a prisoner living on the upper floor of the castle. 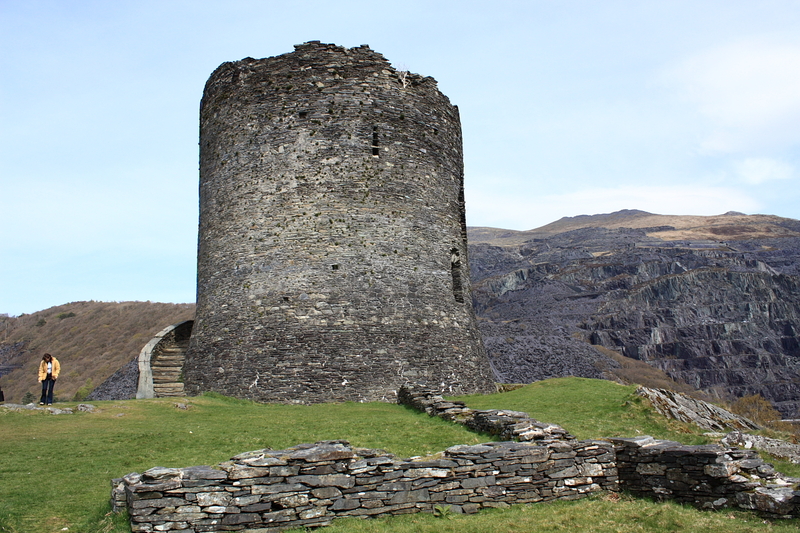 During the Welsh princes' revolt against the English monarch, Edward I (whose response was a ring of massive fortresses around the north), Dolbadarn Castle was held by another of Llywelyn's brothers, Dafydd ap Gruffydd. Unfortunately for the princes, the castle in the Llanberis Pass succumbed to more formidable forces led by the Earl of Pembroke, and in 1282 (the year of Llywelyn's death), Dolbadarn was seized by the English army. Within two years, the castle was abandoned, to be further assaulted for its building stone and timber beams. 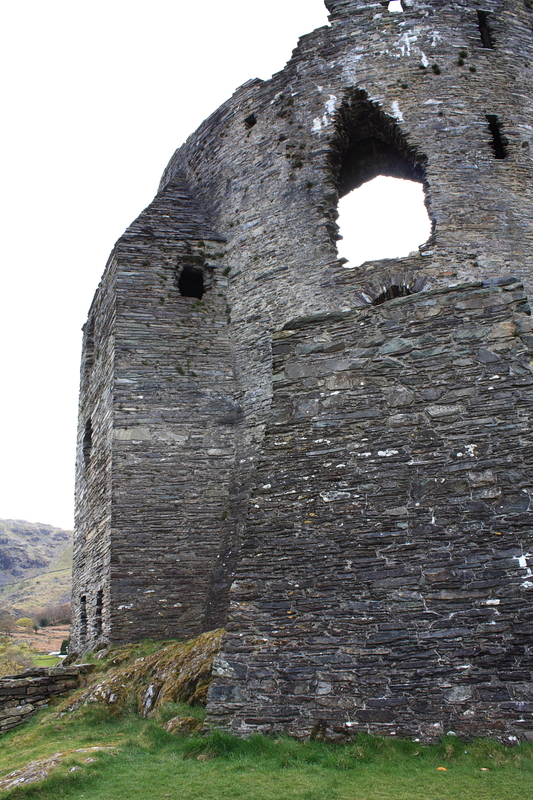 Reid mentions one last gasp at Dolbadarn Castle, when Owain Glyndwr led the Welsh uprisings around 1400. Glyndwr may have used the keep to hold prisoners like Ruthin Castle's Lord Grey. 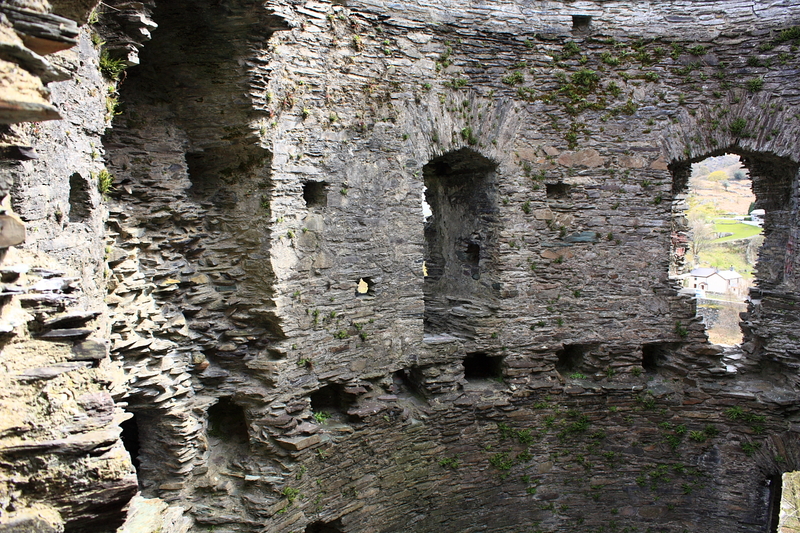 Below (3): interior views of Dolbadarn's Great Tower. This minute marvel of masonry is now under the care and guardianship of CADW: Welsh Historic Monuments, which maintains the site and its fine keep as a proud and lasting memorial to the native Welsh princes, men who struggled for independence from England, and still inspire current political activity. Despite its central location, the stronghold is nestled off the roadway, and mystically transports us back to the Middle Ages. 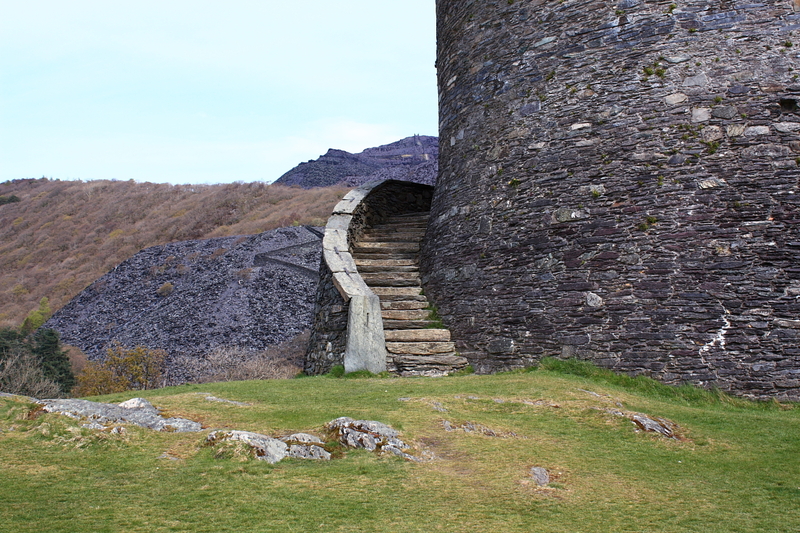 Seek out Dolbadarn Castle! Lise Hull owns and operates Castles of Britain, an information and research web site providing a wide range of information on the castles of Britain. Mrs. Hull has a Masters Degree in Historic Preservation, and has visited well over 160 castles in Wales, England, Scotland and Ireland. She welcomes any and all questions concerning the castles of Britain, and invites people to visit her web site or contact her directly via e-mail at: castlesu@aol.com.